Professional Supplement Center would like to extend our appreciation to our loyal customers and our weekly Your Good Health newsletter subscribers. With every edition, we strive to provide articles of interest, that not only inform and enlighten, but deliver current content to help support our customers’ health and lifestyle objectives. As we all gear up for our individual wellness and fitness goals for 2017, we pledge to continue to provide useful information, as we believe that achieving and maintaining good health is much more challenging without proper knowledge and support. 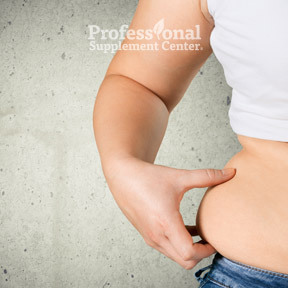 At Professional Supplement Center, we always aim to please. If there are topics of interest that you would like to see addressed on our blog or in our weekly newsletter, please feel free to call or send us an email. We hope you look forward to receiving our informative newsletter each week. If you do not currently receive Your Good Health newsletter, sign up by clicking here. In addition to the newsletter, signing up keeps you ‘in the know’ regarding new and current products, and entitles you to receive special offers, coupons and subscriber-only sales promotions. 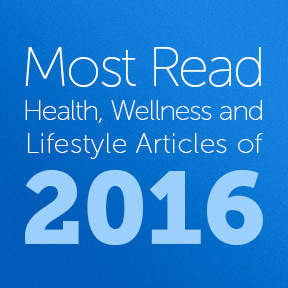 The following links will take you to the most widely read articles of 2016. Our entire team extends our best wishes for continued good health in 2017! Forty years ago, there were twice as many underweight people as there were obese people. Fast forward to 2016 and you’ll find more people are obese than underweight. Almost a fifth of the world’s obese adults live in just 6 high income English speaking countries, including the U.S., Australia, Canada, Ireland, New Zealand, and the U.K. In the U.S. alone, nearly 40% of adult women are obese. Factor in those who are in the overweight and the severely obese categories and you may begin to understand the public health crisis we are now facing. Although the U.S. accounts for only 5% of the world’s population, we account for approximately 13% of the global total of obese people. An estimated 160 million Americans are overweight or obese, including 60% of women, 75% of men and 30% of our children, who have an increased likelihood of carrying obesity into adulthood. The rise in obesity is a major public health concern and the rising rate of obesity among children is especially troubling, as childhood obesity is known to have severe negative health consequences that include the development of cardiovascular disease, type 2 diabetes and certain cancers. For adults, along with cardiovascular disease, diabetes and cancer, obesity can lead to health risks such as osteoarthritis, chronic kidney disease, fatty liver disease and a shorter life expectancy. To be sure, some people have successfully managed to lose weight, yet many others struggle to slim down or maintain any weight loss they have achieved. While it’s easy to blame an individual’s lack of willpower, excess calorie consumption or sedentary lifestyle, the fact that obesity is so prevalent suggests something more may be going on. That something may have a lot to do with brain and gut hormones and how they impact not only our food choices but the amount of food we choose to eat. Why is it such a struggle not only to lose weight but to maintain any hard earned weight loss? Research has shown that there are numerous hormones that act on specific centers in the brain and impact hunger, satiety, and cravings. Insatiable hunger and overpowering cravings have to do with leptin, a powerful and influential hormone released by fat cells. Leptin suppresses appetite by signaling the brain, particularly the hypothalamus, when the body is satiated and its energy stores are full. The more overweight we are, the more leptin producing fat cells we have. So why does this not signal us to stop eating? It has to do with leptin resistance, which happens with obesity and continuous overexposure to leptin. You may have plenty of leptin floating around, but the brain doesn’t recognize it’s there. Evolution may be partially to blame, as when the brain doesn’t receive the satiety signal it erroneously reacts as though the body is starving, although there may actually be more than enough stored energy. As a result, we consume additional calories, while the body reduces energy expenditure as it endeavors to achieve energy homeostasis, leading to fewer calories burned. Working in tandem with leptin, insulin acts as a hormonal appetite regulator. Insulin receptors are widely distributed within the brain, leptin’s primary target. Researchers at the University of California, San Francisco, found that high levels of insulin block leptin at the brain. They concluded that in order to lose weight, insulin levels needed to be dramatically lowered, as both insulin and leptin resistance are associated with obesity. The impairment of their ability to transfer information to receptors places insulin and leptin resistance front and center as core factors in the obesity crisis, along with increased risk of chronic disease. As a result of our steady diet of sugar, processed foods and refined flour, our baseline insulin levels have increased. Visceral fat or belly fat produces large numbers of inflammatory cytokines, which block the effects of leptin, contributing to resistance. One key to reducing leptin and insulin resistance is to reduce diet-related inflammation by avoiding processed foods and increasing soluble fiber intake. Consuming omega-3 fats and antioxidant-rich foods can also help to improve leptin and insulin resistance. There are many other brain and gut hormones that impact appetite regulation, including ghrelin, the hunger-stimulating hormone and dopamine, the reward hormone. To help manage and stabilize appetite hormones, eat on a regular schedule to prevent hormone spikes, eat a balanced, high fiber diet that includes high quality proteins, unprocessed carbohydrates and healthy fats, get sufficient sleep and commit to regular exercise. PGX® Daily by Bioclinic Naturals – This proprietary blend provides a combination of 3 highly viscous, water soluble fibers that support healthy glucose and cholesterol levels already within the normal range. PGX® helps to normalize blood sugar levels, improves regularity and supports reduced appetite and healthy weight loss. Gluten, dairy and yeast free formulation. AntiOxidant Formula by Pure Encapsulations – This broad spectrum, synergistic formula offers a range of antioxidant nutrients to support cellular health and enhance the body’s natural defense against free radicals. Gluten and soy free, Non-GMO formulation. OmegaGenics® EPA-DHA 500 Lemon by Metagenics – This formula provides a concentrated source of omega-3 essential fatty acids to promote cardiovascular and overall health and healthy blood lipids. Sustainably sourced from cold water fish. Contaminant free, gluten free, Non-GMO formulation.